RFTLYS CD-1 Mini HiFi Balanced CD Player Please special note: We have black/silver color and 220V voltage in stock, please mail us for the color you want, or we will send it at random. The Client use 110V please mail us before buying, very important!! 2. The decoder interference 24bit / 192K AK4396 with the dynamic range of 120db. Such chip is cooperated with the operational amplifier OPA2134 of BB company to show the noble and natural sound. 3. In addition to supporting the common MP3 and WMA, the digital file player also support the playing of WAV audio file with 24bit / 192k at most. 4. The built-in headphone amplifier adapts to 32-300ohm headphone. 6. 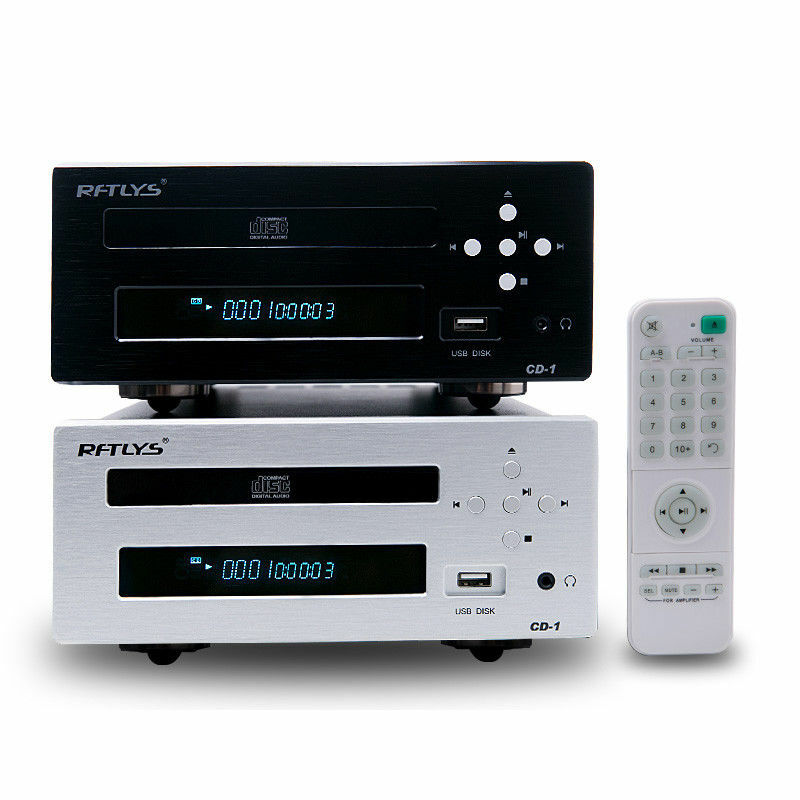 The audio output includes the common RCA and XLR balanced output. 7. It supports USB disk with the capacity over 32G and the large-capacity FAT portable hard drive. 1. You have 7 days to contact us and 30 days to return it from the Receipt date. If this item is in your possession more than 7 days, it is considered as used and WE WILL NOT ISSUE THE REFUND OR REPLACEMENT. There are NO EXCEPTIONS! Returning Shipping cost is buyer’s responsibility. 2. Any product or shipping issue, please contact us before opening the dispute or leaving any nertral/negative feedback, we’ll try our best to solve problems until you satisfied.